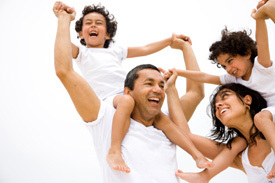 Unlock the health your family deserves! When looking for the best Chiropractor near Rockwall, Texas, Dr Jamal may be a good option for you. He always make sure all patients receive the best care possible. Dr. Jamal is able to tailor each chiropractic adjustment to meet their individual needs. 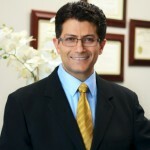 With nine different techniques at his disposal, Dr. Jamal will recommend the best form of treatment for the patient, which may be Diversified technique, Activator, Flexion Distraction, Logan Basic, or ArthroStim for more advanced injuries among others. Always practicing a gentle approach to care, Dr. Jamal’s adjustments are safe for people of all ages. At Rockwall Health Center, we believe in incorporating the use of instruments in adjustments along with manual therapy to make the patient as comfortable as possible. This often includes the use of soft tissue massage for added relaxation. Our goal is to help our patient’s entire family unlock the health they deserve. With an increased number of children facing many health problems unlike ever before, Dr. Jamal believes in the importance of setting up children for a lifetime of health and wellness. When your child’s nervous system is functioning fully, their operating at a higher level. This doesn’t just mean better health, but improved performance in school, sports and their everyday life. Through proper nutrition and chiropractic care, families who are a part of our practice understand and enjoy the commitment it takes to ensure optimal health for years to come. So, if you searched for “Chiropractic near me”, get ready to see the difference chiropractic care can make for yourself and your family? Contact our office today to schedule your first appointment. We look forward to meeting you!